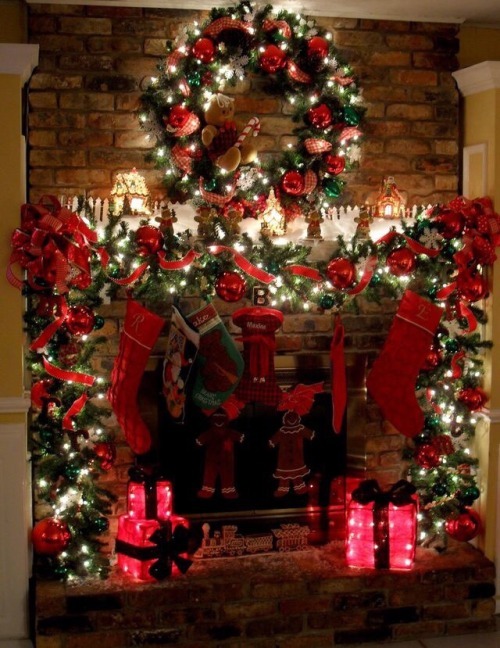 One of the many elements of Christmas that I love are all the decorations! I love the way people decorate their homes for Christmas, no matter how different it is from each other. Growing up, my family didn’t go crazy when it came to decorating. We never put up Christmas lights outside, because, “Someone will steal them.” Although I think the real reason is because my uncle never wanted to put forth the effort and scale a ladder twice a year. We had a tree that we covered with lights, but never really put ornaments on it. Grandma would set up her nativity scene and only she was the one to do it. My grandmother also had a snowman that she would place in the living room window. A snowman that my grandfather made for her. My aunt had a train set that she would place underneath the tree and that was just about it with the decorating. It’s funny when I look back on it, because even though we never used ornaments to decorate our tree, there were still ornaments in the house. Not a huge collection of them, just in random spots of the house I would come across a select few ornaments. I even managed to somehow end up with a few now. One thing is for sure, decorations can be pricey, especially when you’re starting with nothing and you’re just so eager to bring forth your vision. Last year I started off with my small collection of ornaments and a stocking. I told myself that in due time I will have my winter wonderland and that I would just pace myself. Then the idea came to me that I should make my own decorations. It was decided then that each year I would pick a project and make my own decor. This year I managed to get two projects done! I made Halloween themed ornaments and a banner for a mantle. The Halloween ornaments are for a Halloween tree tradition I’m planning on starting soon. Of course the only Halloween themed ornaments that are easy to come by are Nightmare Before Christmas. I love that movie, but I need variety. These ornaments were a learning experience for me, because I wasn’t sure how they would turn out with the tools I was using. The results weren’t that great, but since ornaments come in a variety of shapes and sizes, people would think they were intentional. As for my banner for a mantle, I’m so proud of myself with it. The banner was also a learning experience. For the banner I used fabric squares, felt and fabric glue. I wasn’t sure how good it would look but it actually turned out great. I can’t wait til Halloween comes around again so that I can make one for that holiday. I actually don’t have a mantle, so I use my entertainment center instead.